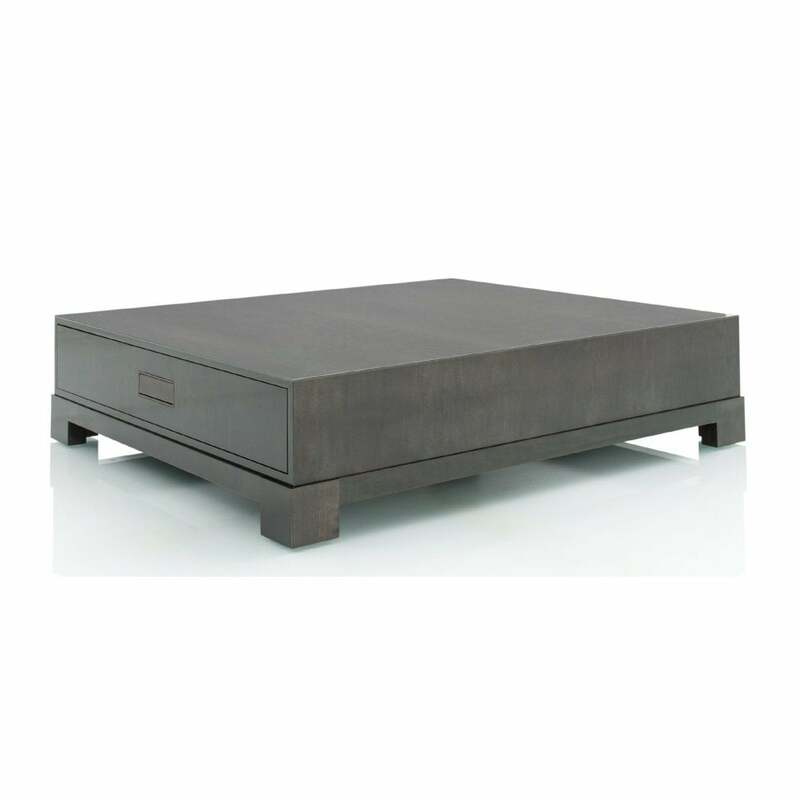 Coffee table with drawer. Stained and varnished maple legs. One-piece varnished maple top. Available in a variety of finishes.